Growing up, I was always fit. Involved in athletics since I was a child, I ran track for 8 years, cross country for 6 years, and swam for 8 years. Being fit was never an issue with so many practices, meets, and races. I was good at what I did, winning medals and ribbons. I lead teams to victory and made everybody around me proud. This is what drove me to continue and, ultimately, to quit. When I reached freshman year of college, I was sick of pleasing everybody else. I no longer enjoyed sports so I abandoned them altogether. While the training stopped, the eating continued. I didn’t weigh myself often, maybe because I knew I was gaining. But that didn’t stop me! Fast forward to 2009. I was a working citizen and married to my college sweetheart. With a great job and great husband, my health was poor. I continued to ignore it thinking “I was active as a kid. I need a break from that.” One day in July, that attitude disappeared. I stepped on the scale on a whim and saw this: 161 pounds! I was horrified! At just 3 pounds less than my husband, I saw myself creeping towards obesity. I had to do something! 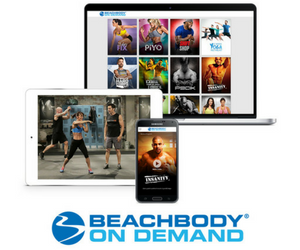 I heard about Beachbody fitness programs through a coworker so I decided to check it out. I was impressed! I chose a fitness program and committed to my health for the first time in years. After just two weeks of exercising, I was hooked. To this date, I have completed P90X, Insanity, and ChaLEAN Extreme fitness programs. I lost 30 pounds, almost 50% of my total body fat, and dropped from a size 14 to a size 2. Healthy eating and exercise have not only become a part of my life, they have become something I enjoy again. I don’t do it for anybody else. I do it for me. I got my life back because of Team Beachbody and I want to help others do the same. Everybody is different, but we can all benefit from a healthy lifestyle. I did once, I currently do, and from now on, I always will. 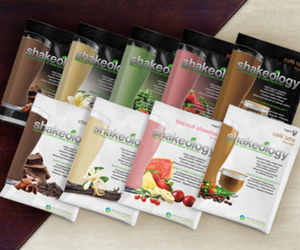 Are you ready to get healthy and fit? You will be happy you did!